Charm, exclusivity and luxury services go hand in hand at the Bastion Luxury Hotel, one of the most exceptional hotels in Cartagena de Indias. 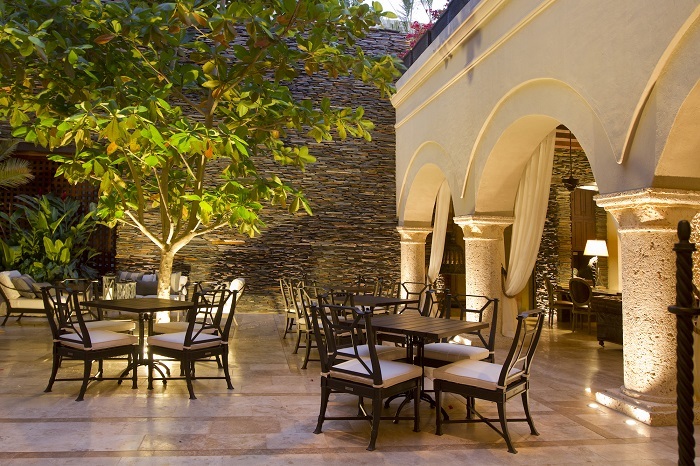 It is an accommodation in Cartagena's old town, Colombia, built on the site of an old XVIth-century colonial house. This hotel has been specially designed to offer guests unique experiences that will allow them to discover all the secrets of this fascinating city. Refined rooms with wood floors offer free Wi-Fi, flat-screen TVs, minibars and coffeemakers, as well as sitting areas. Some have individual touches like upholstered headboards and/or 4-poster beds. Suites add separate sitting areas. The following discounted rates have been negotiated with Bastion Luxury Hotel for our guests. Below you will find the rates per night according to different types of rooms. Click here to see a description of each room type. Please send your inquiry via email to Karina Olano at karina.olano@ghlhoteles.com and reference "Matt & Ximena Wedding" in the subject.